Unlike ice cream or gelato, a sorbet is made without dairy or eggs. 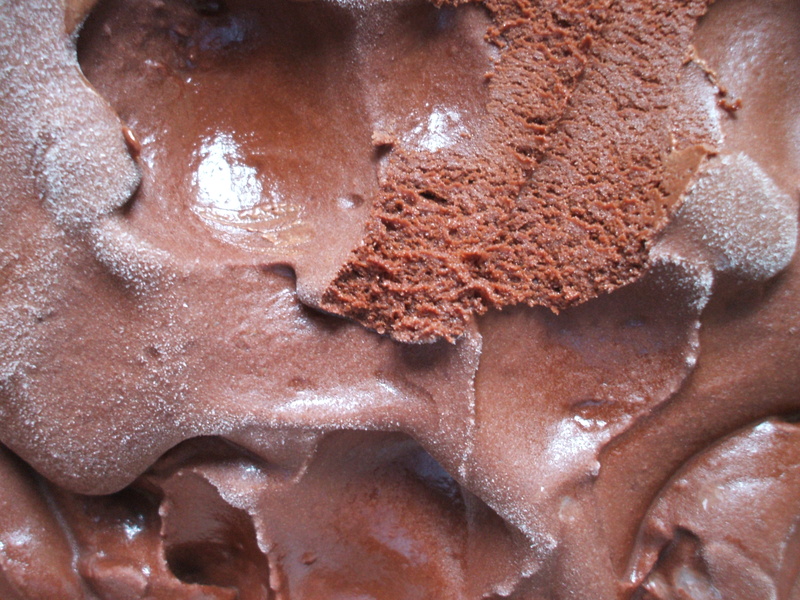 It’s hard to believe though when a spoonful of this creamy, luscious chocolate sorbet hits your tongue that this dessert is without the slightest bit of heavy cream, milk or eggs. It’s the perfect frozen chocolate dessert for the lactose intolerant or chocolate connoisseurs who like it straight up. Remove from the heat and stir in the chocolate until it’s melted, then stir in the vanilla extract and the remaining 3/4 cup (180 ml) water. Transfer the mixture to a blender and blend for 15 seconds. Chill the mixture thoroughly, then freeze it in your ice cream maker according to the manufacturer’s instructions.